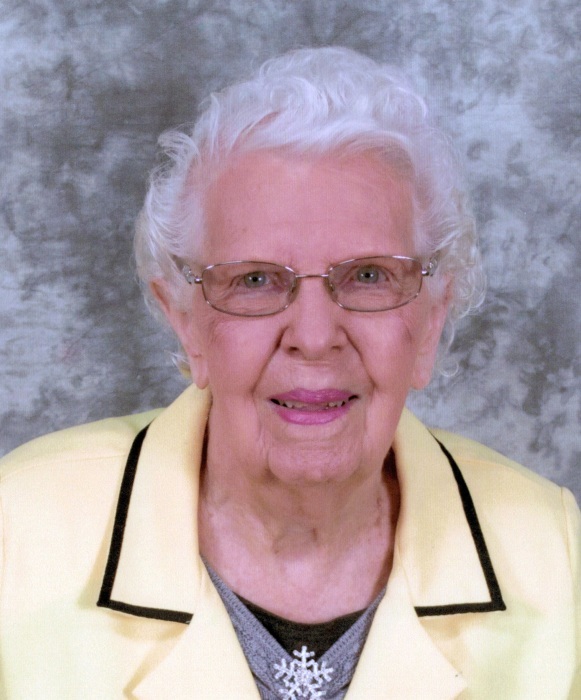 Gladys Dailey Wells, 99, wife of the late Herman “Tink” Wells, passed away Monday, October 1, 2018 at the University of Kentucky Medical Center. Born March 2, 1919 near Ruddles Mills in Bourbon County to the late James Newton “J.N.” and Georgia Florence Dailey, she was a former clerk at Redd Hardware, had worked in the business and outpatient offices at Harrison Memorial Hospital, volunteered at the Cynthiana Museum and was a member of the Clays Mill Road Baptist Church in Lexington. Survivors include a son, Wayne (Sharon) Wells, of Harrison County; a granddaughter, Tiffany (Bo) Morgan, of Versailles; a grandson, Brandon (Lena) Wells, of Valdosta, Georgia; a great-granddaughter, Shelby Morgan; 2 great-grandsons, Alex Morgan & Brady Wells; a sister, Pattie Ham, of Winchester, and numerous nieces, nephews and friends. Also preceding her in death were 3 brothers, Frazier, Boyd & Warren Dailey, and a sister, Lucille Brannock. Services will be 1:30 P.M. Saturday, October 6, 2018 at Drake-Whaley-McCarty Funeral Home. Burial will follow in Battle Grove Cemetery.